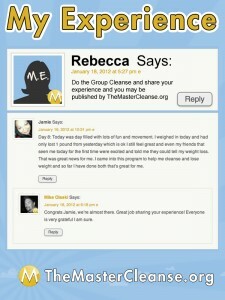 At TheMasterCleanse.org, we've known it's easier to lose weight with a buddy or in a group for years through now 27th quarterly Group Cleanse and the over 6,206 Group Cleansers, who would agree based on they're 35,365 comments of support and encouragement of one another to lose weight, and change their lives together through The Master Cleanse. But did you know that studies show that having support enhances self-control and self-esteem and provides motivation to keep going strong when you need it most. The research shows you're 3x more likely to have success in your weight-loss, or wellness program when you have support, can share tips on diet and exercise and have an exercise buddy etc. Studies show that having support enhances self-control and self-esteem and provides motivation to keep going strong through the challenges that inevitably come. One study noted here, and here, measures the effectiveness of a structural commercial program (Weight Watchers) Vs. self help which showed clearly that if you could do it yourself, you would have already (although it also seems clear Weight Watchers either picked up on this study and milked it for all it's worth, or perhaps funded the study itself. Either way, the author does seem credible. In convincing fashion, this study shows that you are 35% more likely to lose weight, and nearly 3x more likely to keep the weight off if you recruit friends and increase your social support. And perhaps even more revealing, this study shows that individual incentive vs. Group Financial incentives resulted in over 30% more weight lost. The last 2 are not surprising if your a fan of the Biggest Loser. Yes, that show is sensational and “produced” into having some aspects that come under question, but what they're really onto is simple. Provide incentive for one (like we do with our Group Cleanse Winners). Public and social incentive to be sure, but it definitely helps when there is a tangible reward attached. You would think losing weight would be enough incentive. And you'd be wrong (or less right than you think anyway). The second is to leverage the social aspect into a group dynamic. Something changes when you wrangle the kittens into a coral, and a group is formed. Bonds are made. Promises are kept. So you might ask yourself, how do I join one of these groups? Must I be invited. Well fear not potential cleanser. 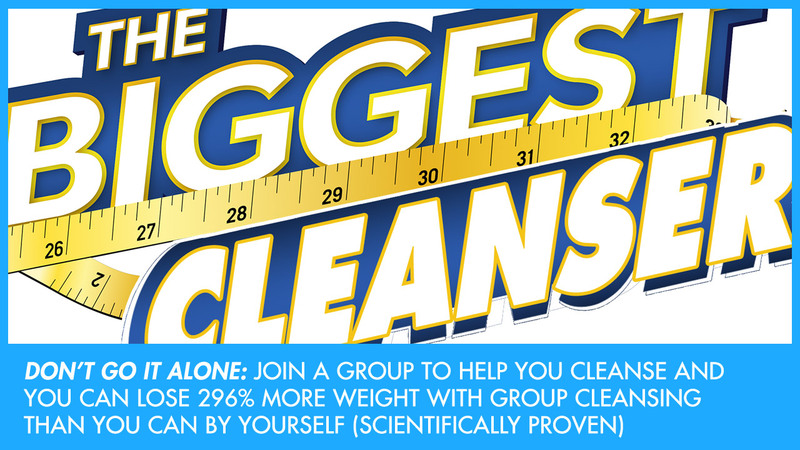 Not only do we group cleanse each quarter, but you don't have to wait to be supported by our scheduled group cleanse. Besides the (shameless plug) here is a simple formula for starting your own group, or to ensure they one you join is motivated to help one another. Consider the Timing: Watch out for holidays, which is why our quarterly cleanses start the first full Friday/Monday after major holidays. This is especially important when you're recruiting for your group. Communicate with candidates to determine your best window of opportunity to get everyone on the same page. Recruit Participants: This is mostly done for you in a scheduled/facilitated dynamic, but if your building your own group you'll need to find participants. Don't worry about how many. The magic number is the amount it takes for you to be motivated and supported. The big question is where. The answer is start local, think global. Ask your friends, co-workers, family to start with, but then realize that you're a quick Google/Facebook search away from finding millions of cleansers just like you. Set a Place for a Daily – Check-In: On the biggest loser, this is a weight in. When you're detoxing/cleansing weight may not be that important to you (though it mostly stilly is). I recommend rather than only a “check-in” you go with an “Accountability” Journal to document your experiences in full public view. Again you can use any social network, or even email to do this. Ask each participant to be responsible for sharing with the group each day. Everyone will know you're still with them, but whats more, you'll offer up experiences that others will relate to. Sharing your “Breakdowns” is what leads others to “Breakthroughs” regardless of whether or not the person having the breakthrough makes that breakthrough public. If my experience the public/private breakthrough ratio is 1:10 (in a live public forum). For every 1 time someone shares a breakthrough, 10 others are having one in that movement or soon to follow. Honestly, in an online setting I can imagine this ratio being more like 1:1,000. Decide on your Ante (Registration Incentive): We don't require an ante (term from poker/betting) in our Master Cleanse Group Cleanse. But the idea has merit, and we're considering how we can implement and test this aspect in future group cleanses. Consider asking each participant to put in $100, or even $10 to a pot. You can then use these funds to finance prizes or a party at the end. As shown in the study mentioned above, this satisfies the benefit boosting requirement of a group financial incentive, even if you're not being funded by network television. Organize Daily Support Activities & Create Challenges: These can be the same events or separate. Either way, you need to find ways to go beyond the “check-in” to really maximize your results and fun! Because after-all the best program is one you adopt, and you're 1 billion times more likely to adopt a program that is simple and fun. In case you're wondering, I found no study to support the figure of 1,000,000,000 times more likely. But I do love me some hyperbole. Award a Winner: When it's all said and done, have an award granting ceremony, even if it's only a post to the group forum or website to ensure that you'll leave a lasting impact on the group and the community for next groups to come. Coaching Provides Informational Support and Benefits Too! All that social support is fantastic, but having the structure of some timed information not only provides the framework for the group, but is essential, of course, to the adherence to best practices. Everyone thinks they're special. They have it harder, than the rest, or are better than the rest. Whichever side you fall on, you'll be tempted by some mis-, or dis-information along the way. A coach goes a long way to ensuring your fed the right information at the right time, and there to support you when you need it. 2 Days after signup: Specific information on “How” to do the thing you do. Instructions of the process need to be clear. 3 Days after signup: You'll need a reminder of what will you need during the process, ingredients, equipment etc. 7 Days before commencement: Your 1-week check-list will motivate you with confidence in your preparedness. 1 Night Before commencement: Here we go. Some last minute “need-to-knows”. Day 1 – The Bandwagon: – Make sure you actually are committed and why people usually are not. Day 2 – Healing Crisis: Probably the worst day ever. How do you get through it? Day 3 – Healing Events: The ray of light, and start of all the benefits as the breakdowns turn to breakthroughs. Day 10 – The End? : Should You Quit Now? If not, what's next? If so, congrats. No matter how you decide to go about your cleanse experience, whether it's in a group, or going it alone, I highly recommend capturing your experience in a journal. This act, is the first step in practicing “Self-Care”, which is to say, documenting your reality so that you might learn from it and make adjustments. If you don't take a moment to know truly know what you're experiencing, you can never know what step to take next. You have to know where you are, to get to where you want to go. What's more, by journaling, you're creating a published book of experiences that you can send into the world to encourage others towards their breakthroughs, just like you can learn from their experiences. These might not be the perfect topics for you, and that's OK, feel free to add your own subjects. But creating the defined space and keeping it simple is what matters. There are 16 days in The Master Cleanse, 3 days during the Ease-In, 10 Days (minimum) on The Lemonade Diet, and 3 Days of the Ease-Out. If you journal each day on each topic that's 16×5 = 80 journal entries (if my maths are correct). If you do 250 words like we ask for (about the length of each of the following example entries), that will be 20,000 words of insight and encouragement to yourself and others. Put that into a book format and you have a small but profound book of over 60 pages filled with your own words. That's something you'll reflect back on in the future believe me. TheMasterCleanse.org holds a Quarterly Group Cleanse that over 10,000 people have participated in. Each Quarter, during our scheduled Group Cleanse those who contribute a 250 word comment on 5 topics of concern, each day during The Lemonade Diet and the Ease-Out will win one of 2 great prizes including access to TheMasterCleanse.org product archives (for life), and a Publing package aimed to help them continue their journaling prowess. The Process and The Lemonade: Everything technical that's required during the Cleanse Program so that we can understand their secrets to making timely and useful lemonade ensuring their success in the process. 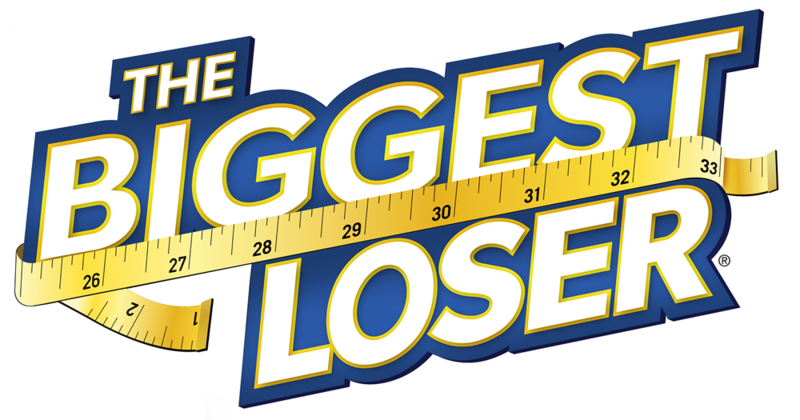 Weight Loss and Physical: The clear #1 reason why people do The Master Cleanse, how much weight is being lost, and other physical effects like inches, and remissions of other ailments such as skin conditions, parasites, blood sugar imbalances and more! Psychological and Emotional: The clear #1 challenge that everyone faces that the didn't know would be is the cleansing the “Mental Body” as well as the “Physical Body”, this means creating new thought patterns that support your goals and higher-self ambitions. Detox and Salt Water Flush: Everything technical that's required during the Cleanse Program so that we can understand the secrets to doing the notorious Salt Water Flush (SWF), as well as the laxative, so we can truly flush and rinse the toxins that are being prepared for elimination from the body. Social Support Friends Family: The clear #1 boost to your well being and success on The Master Cleanse or any Fast Weight Loss program is to build a strong support network so that you don't create pitfals with toxic friends. Detoxing your “Environmental Body” (of friends and family in this case) from vampire people is as important as cleansing your Physical and Mental Bodies. 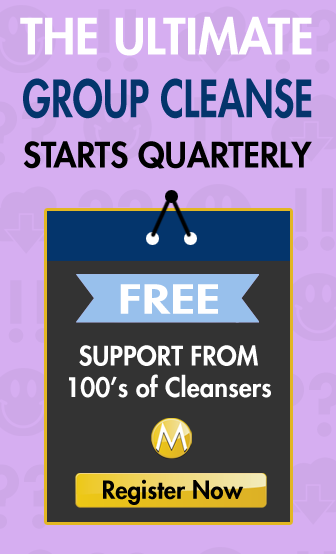 Since our first Group Cleanse in 2009 we've had dozens of insightful Master Cleansers win the Group Cleanse “Master Cleanse M.E.” challenge, and we collected their experiences into Journals to be made available to the community. List of All 1st Place Winners of Master Cleanse M.E. TheMasterCleanse.org congratulates the following winners of the Group Cleanse and reminds you that their experiences are their journey. Yours will be yours. It will be different (obviously). But, you can use their models of tricks and techniques, peaks and pitfalls, triumphs and tribulations to set the stage for your own successful cleansing practice. You can click through on their links to see their experience gather into a PDF book. By following the links below, you'll be taken to an overview of each Cleansers' summary page, and be able to download each Cleansers' Experience Journals, but you'll be asked to share that page with your social network of choice first. Day one- was up early and ready to start the day. The mental preparation really works….I get right up and make the Salt Water Flush, and turn on an educational video to watch while sipping on my salty broth, makes me feel better not to think too much about it. Once finished I am usually into the information on the video and then 30 mins later I am off to bathroom for first BM, and then I am ready to make my lemonade- fresh squeezed by hand, and then I pull out my special maple syrup, and my homemade cayenne pepper that I grow and dry myself. I take my first sip and it just takes me back to the first time I ever tried to cleanse- I was on my way out the door and made a quick lemonade and put too much cayenne on accident (kinda dumped in a well rounded teaspoon full)and didn't have enough time for another one so I just decided I would drink up and that it would not hurt me….well as I took my first big gulp I turned red all over and really felt the heat, but then said I will be ok so I drank again and the burn turned to a numbness and what I read about cayenne this is the healing stages of what the herb is doing for you so I just accepted the whole process, and wouldn't you know it about 30 mins later I was so hyper my whole family was saying slow down…it really worked and I like cayenne pepper now especially in my lemonade! Once I learned how to take this salt water flush with making the water a little warm and playing games in my head it wasn't all that bad- I pretended it was a salty broth and I always had to have something on to watch while drinking it in beginning to help take away the gag feeling but now I don't even think about much at all and love the way it really does clean you from top to bottom. I also tried counting how many sips it took to finish it, and one time my husband and I had a race to see who could drink it down first. The first time I tried the cleanse and did not have the right info and had bad cramping so then my friend told me to do an enema and I noticed some relief but once I read about this flush it seems so much more practical and really does work. I also told my husband that if he did this in am he would not have to get up throughout the day for a BM because he would be done and that really helped him do this while working. Second day of ease in and it is not that hard yet but I am having a detox symptom of an ear ache and I am not going to let it get me down. That is the one thing I notice about this cleanse is that you can over think it or even get scared from experiencing the pains of cleaning the inside- but I always tell my girlfriends this too shall pass and also it takes pains to be beautiful. I just want to think about food differently for the sake of my family and also my husband- he wants to cleanse too but won't start until the weekend and he wishes he could take time off to do it with me during week but the first few days are his hardest days- he did make me a tea tonight and said he is going to try these next few days to do his prep or ease in. Day 9 and down 11 pounds to 163! That is good for now and will probably be even better tomorrow on Day 10- can't wait to check measurements, as I am sure those are even better because I went to put a bikini top on and it didn't fit anymore it was falling off me. I physically can see my muscles better and look more tone. Love the way my face tightens up around chin area and neck. I do have more energy on certain day and then on others I just lay low and feel like blah. I am working out more and hoping that I can get into a groove of a routine. Now on to Day 10. I ended up cancelling going to an event on Sat because I could actually see myself becoming weak and eating something on Day 10 of all days, but I don't think they would let me bring in my cooler with my lemonades, and I am not willing to take that chance and also tempt myself as I plan on going on longer than just 10 days, why ruin a good thing while it is going so good. I am actually going to hang out with my girlfriend cleansing on day 4, and she is going to teach me indian beading and we will do our lemonades together, and I will play my guitar for her. My other friend was not taking her health so seriously as her and her husband must be really toxic and got light headed after only doing 3 lemonades or they just wanted to eat so bad they had to have some excuse – I doubt they did the mental prep nor the ease in and I notice that makes a big difference. I feel sorry for them and also sorry for their son who is following in their footsteps in unhealthy choices and weight gain. Well another day gone by and going strong! Want to see everything Paula had to say about her Cleanse Experience? I had that first lemonade at about 7:00am and a second one around 9:30am after feeling a bit hungry. I'm working on my third liter right now at 1:54pm. Last night I prepared my Agave nectar (subsitute for the maple syrup) and lemon juice concoction. I pre-mixed it because I wasn't looking forward to squeezing lemons all day long. I often travel between offices and am quite mobile a good portion of the week for work. My goal is to drink at least 1 gallon of lemonade/fluids per day and for me, it's much easier in 1 liter increments. Having it be in lemonade form helps too. Plain water is just so….plain. After my second liter of lemonade this morning, I had to do an emergency pit stop at a Jack in the Box. No –I didn't get food–I just needed to use the facilities. Apparently cayenne pepper works fast! I've had three bowel movements already! I may or may not need to do the SWF/lax tea tonight. I will see how I feel. The first times with the SWF are a bit experimental. The temperature of the water may have been the cause, or the salt level. I tend to use 2 tsps plus a bit more for good measure. In my experience using too little salt will make the flush take longer or sometimes it won't work at all. Terrible to put yourself through the trauma of drinking that whole bottle only to find that you're retaining it instead of eliminating. I say err on the side of too much salt rather than too little. Cravings! cravings! cravings!… and its ALL IN MY HEAD…. I have been all raw vegan since Dec. 21st, so 22days now… that's a VERY LONG ease in… 22days… but with all my “dis-ease” conditions, I was more toxic then… I did not get a lunch break at work today… just kept working, so I'm eating my salad at 6.30pm… and I eat it TOO FAST… and one of the plastic prongs on my fork went missing… and I'm afraid I swallowed it… took me “double time” to get home from work… took 1.5hrs to get home because of SLUGGISH NEW YORK TYPE TRAFFIC after the Broncos game in downtown Denver… this just added to my edginess… since 3pm to 11pm I've been like a ravenous lion wanting to eat every kind of cooked food and LOTS OF IT…. eat, eat, eat… I wanna eat… but I give myself a major invisible High Five… because I STAYED RAW VEGAN today… I did NOT sabotage myself, even though I have a long history of sabotaging myself. I have not even weighed myself yet. I will. I never really focus on what the scale says. I know in how I feel, how my clothes fit if I am out of where I want to be. I know I am not where I want to be. One thing about as you get older you do tend to slow down the metabolism and the stuff you can get away with when young you can't anymore. In my youth I was a competitive althlete and needed to consume as much as 4000-5000 calories a day. That blows my mind now. My body can survive and thrive on a mere 500-600 for 10 days! I can share that I have a skin condition called psoriasis. I am quite mild compared to some. I was amazed last cleanse how clean and clear I got. Already in my 3 day precleanse it looks better and I suspect I can be virtually clear by the end of this. Now I will see signs of detoxing making it worse before its better, I realize that. but wow. Its another thing to say YES I can do this. This is a topic I am quite passionate about. Unfortunately, when I moved to Australia, I left my family back in the UK, so I don't have family I can discuss this with. 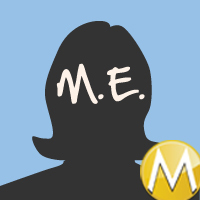 In a way, this makes me feel more independent and in control of what I am doing – but when the going gets tough, I will need to speak to someone for support. During this cleanse, as much as I would like to make the journey with my other half, it is at this stage in his life, not something he would mentally be able to do – He is strongly into his fitness and doing intense workouts each day means he needs to keep his protein and calorie intake up, so at the moment, it is not for him. However, I do expect his support with my journey. It is hard for him to understand the benefits of detoxing, he would much prefer it if I was to eat normally, but up my exercise routine, so although he has agreed to support me, I know it'll be difficult for him. We will see.